PATENT CO. is committed to helping customers to achieve good pig production management for farming success. Since our early beginnings. For PATENT CO. is imperative to create a team of swine experts within different fields of pig production, experts that serve to our end clients as reliable technical support. Management and nutrition are key to reach the maximum genetic potential of the animals and decreasing costs of animal production. Scientific Congress in the Republic of Belarus. PATENT CO. has opened nucleus pig farm with education center where beside theoretical knowledge we can transfer practical experience as well. For more than two decades, the company has been engaged in scientific research. 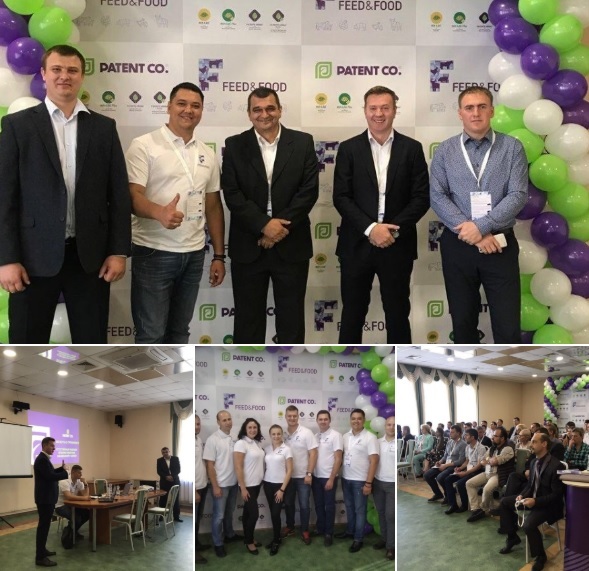 PATENT CO. and its local Belorussian partner, together in collaboration with Vitebsk State Academy of Veterinary Medicine organized a scientific training course for specialists working at pig-breeding enterprises in the Republic of Belarus. A big thanks to Matuzko N.S., Vice-Rector of the FPK & CP, Professor Maksimovich V.V., Associate professor I.N. Dubina as well as to our Swine Specialist and to the head of our representative office. Once again, it has been a successful event with more than 100 attendees where we met many familiar faces (customers and friends) among scientists and researchers. This is our aim: we will continue to work with worldwide Universities and Research Centers!! Seminar about Pig Gut Health in Taiwan. 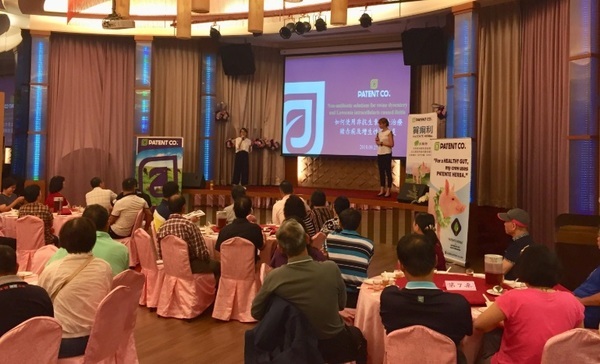 In Taiwan, at Pingtung City in the Southern province of the island, PATENT CO conducted a Seminar about Pig Gut Health organised by our local partner. We thank all pig-farmers, more than 100, for having allowed us to share our PATENTE HERBA PLUS / DYSGUARD-S scientific data and knowledge at this outstanding event!. PATENTE HERBA PLUS represents a natural product based on essential oils supplemented with encapsulated lysozyme and nicotine amide. It is effective for prevention and during the treatment of all non-specific diarrhoea, swine dysentery caused by Brachyspira hyodysenteriae, and Ileitis, which is caused by Lawsonia intracellularis. There are very rapid effects with use - within only a few days after application. It shows no resistance and no withdrawal period, unlike an antibiotic. Technical Director, presented DYSGUARD-S product: advanced natural pig gut health enhancer for solving persistent enteric diseases, during POST ABO ERA seminar, in organization of our partners in Thailand. Pig enteric diseases are a significant economic factor in pig production management due to the negative impact on performance and the increased expenses of treatment and preventative measures. Through the topics of the seminar PATENT CO. showcased high-quality product for higher profitability. DYSGUARD-S is an innovative concept of improving pig performance through promoting stable gut health with a science-based approach of using nature’s patents. SAVE THE DATES FOR THE UPCOMING EVENTS! PATENT CO. is proud to be a Gold Sponsor the Foodtech - Food and Feed Research Congress, in Novi Sad, Serbia, from October 23-25, 2018. This biannual event traditionally combines great scientific content with stimulating lectures, networking opportunities and rich social programme, all sprinkled with smells and tastes of local food. 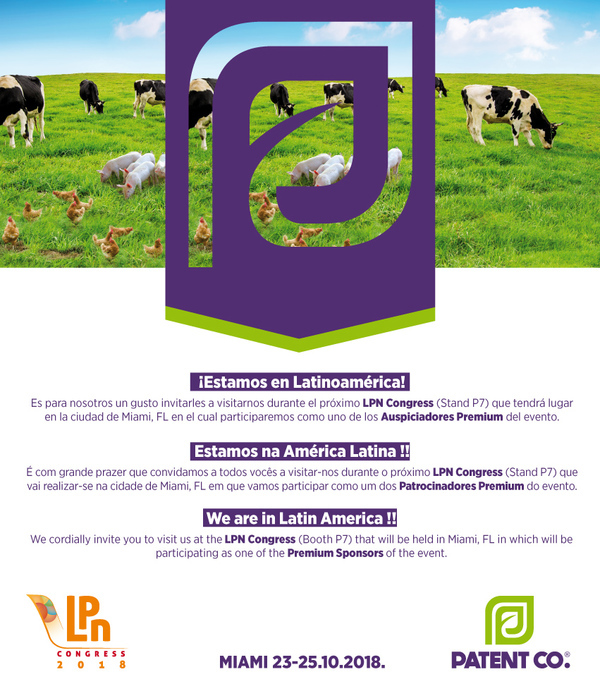 At this event, Latin American Poultry & Nutrition Congress 2018, Dr. Marko Vasiljevic, Technical Director, PATENT CO, will present a seminar on Effectiveness of mycotoxin adsorbents in reducing the harmful effects of ochratoxin in laying hens, on Wednesday 24th, October, in Miami, USA. 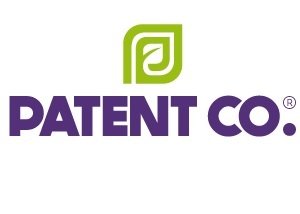 PATENT CO. is looking forward to meeting you at the booth P7. 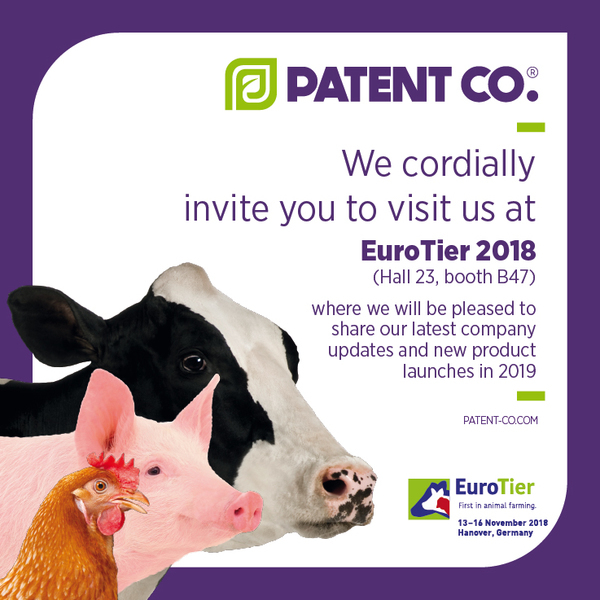 EuroTier – The world’s leading trade fair for animal production. It provides a comprehensive overview of innovative technology, services and genetics for modern animal husbandry.